This blog has been neglected of late so I’m going to try and make amends. It’s a new year and for the past 24 hours I’ve read status on that social networking site where friends are saying good riddance to 2010. I can sympathize with people who have lost loved ones, health, jobs, homes, savings and more. So long as we don’t lose hope then any year is good. Will 2011 be better? No guarantees. I’m just glad to have lived through 2010. All I ask for 2011 is that I do the same. Along the way if there are fewer bumps then bring it on. The only 2010 retrospective I can be bothered with is looking at the new music I enjoyed in 2010. 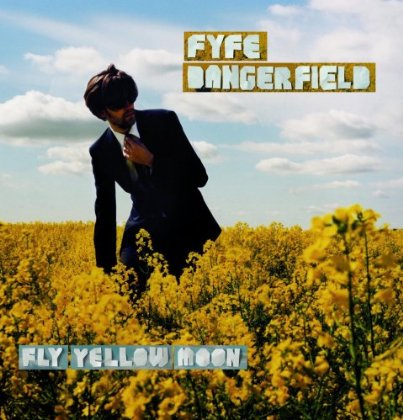 I’ll start with the debut solo album by Fyfe Dangerfield : “Fly Yellow Moon”. Here’s a Spotify link where you can listen to the entire album. Probably better known as the lead singer of the Guillemots, Fyfe wrote and recorded this collection of songs in between Guillemots albums (he’s currently mixing the next Guillemots album). No other album released in 2010 really grabbed me in the same way. I played it through the spring and summer. Old albums I rediscovered in 2010 were The Buggles ‘The Age of Plastic’ and ‘Adventures in Modern Recording’. Spotify link here for ‘The Age of Plastic’. I had been watching some old ‘Top Of The Pops‘ shows from 1979-80 and had forgotten the other singles (apart from Video Killed The Radio Star). I also had overlooked that my good friend Alan White did a lot of work with Trevor Horn so imagine my surprise when I saw Alan make a guest appearance on a live concert DVD featuring artists that had worked with Trevor Horn.